If one thing is for certain, it’s that Traverse City is not lacking in the natural beauty department. With the miles of sugar-sand beaches, the numerous lakes and hiking trails coupled with the breathtaking views, the area is truly an outdoor playground for young and old alike. Growing up in Traverse City, I have definitely seen my fair share of gorgeous sunsets and experienced many perfect beach days. Following are some Instagram posts depicting just how beautiful (and fun) Traverse City can be in the summertime. Take a look and try to squeeze in at least one of these activities while there&apos;s still a bit of summer left. 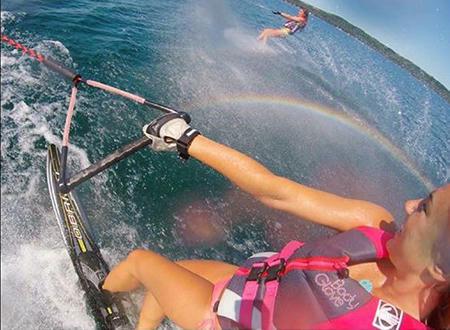 Cool down during the hot days in August with watersports like the waterskiing shown in this picture from Cassidy Klein. If you are heading back to college or visiting for a short time this is a perfect way to get your last dose of the fresh water on West Grand Traverse Bay. 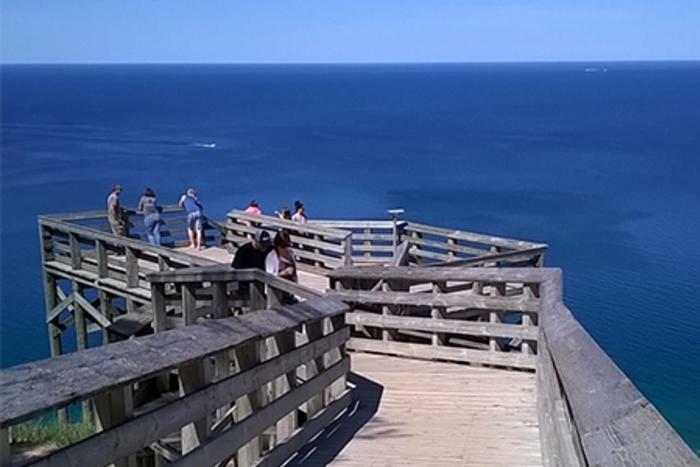 Head out to the Glen Arbor area, explore the hiking trails and take in the breathtaking views of the Sleeping Bear Dunes. 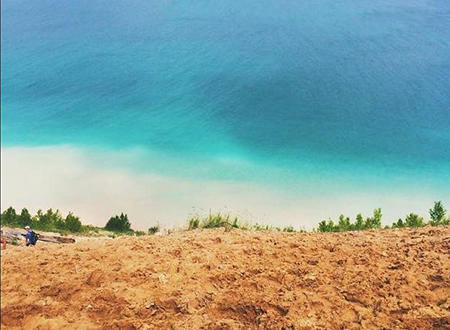 With scenery like the picture from Savannah Rancour above, one can&apos;t really argue with #PureMichigan! There is just something about the Traverse City sunsets that make almost all of them spectacular. 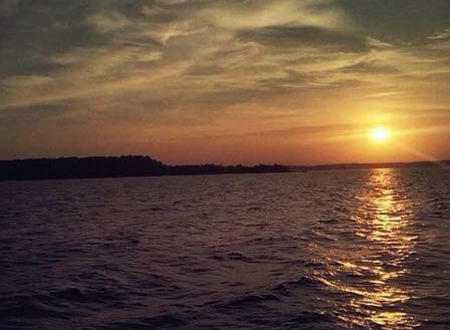 Every Sunday this past summer my friends and I ventured out to Power Island on our friend&apos;s pontoon for “Sunday Funday.” Our weekly tradition allowed us to savor the long summer days, get lost in the sunsets all while enjoying the beautiful colors of West Grand Traverse Bay. If you enjoy the views of the water but not necessarily getting in it, there are plenty of other activities to experience in the Traverse City area. 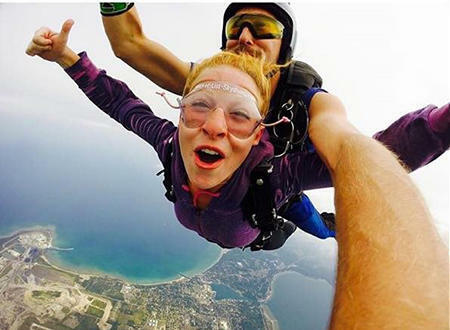 If you are adventurous like Paige Emmott why not skip the water and try skydiving instead? Not only are the views remarkable, but I&apos;m sure the experience was too! Bonfires are an iconic way to spend summer nights. As we transition into fall and the temperatures cool down they are always a great way to spend time with friends. Here, Savannah Rancour kills two birds with one stone -- she headed out to Empire beach for a bonfire and a sunset -- nothing beats this for closing out a summer evening. 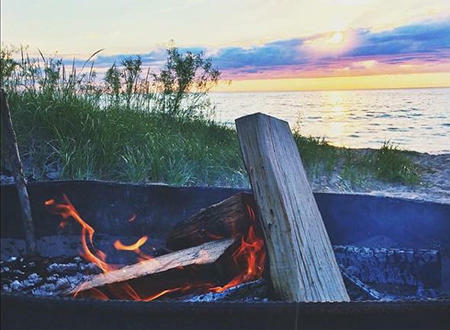 What&apos;s your favorite image from your summer in Traverse City? Tag us on Instagram (@traversecitytourism) and share your True North experiences.